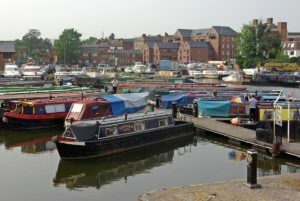 We were approached by our clients who were downsizing from their town centre apartment in the middle of Kidderminster to a flat in the quieter, more rural area of Stourport – a few miles south west of the town. They were aware that they needed to have a sound financial plan in place to avoid losing the property that they had set their hearts on. We arranged the mortgage for the new property, however during our regular communications with them we became aware that their present property was not looking likely to sell as quick as we had all hoped. Their vendor then, unexpectedly, relisted the property back on the market, making our clients fear the worst – that they would lose out on the property they had set their hearts on. We then referred the case to our Specialist Lending department to pick up with the client. Their vendor was unwilling to wait and wanted to relist the property back onto the market and our clients were fearful of losing out. With bridging rates still being very low historically, our clients were happy to consider using around £25k of the equity they had built up in their current home – which they had owned for over ten years, which was now valued at £695k. They still had £200k outstanding on their mortgage, and in order to avoid the costly rates a second charge mortgage against their current property, we secured the bridging finance against the property they were buying. The process involved us liaising closely with the vendor’s agents to re-establish confidence that the sale would be completed. Our clients got the home they’d set their hearts on, and a breathing space to sell their apartment in a couple of months when the market picks up.